As much as online retailers and chain stores make shopping for books more convenient, I’m glad to see that independent booksellers aren’t fading away. Like many states across the U.S., Connecticut has a good number of stores successfully staying in stock. They have mass selections or promote specialty genres, carry a signature look and know the importance of good customer service. Many friends of mine have driven up to this fun place. So I had to see it too. It’s right off of I-95, and I made it the first of two stops on my literary day trip. 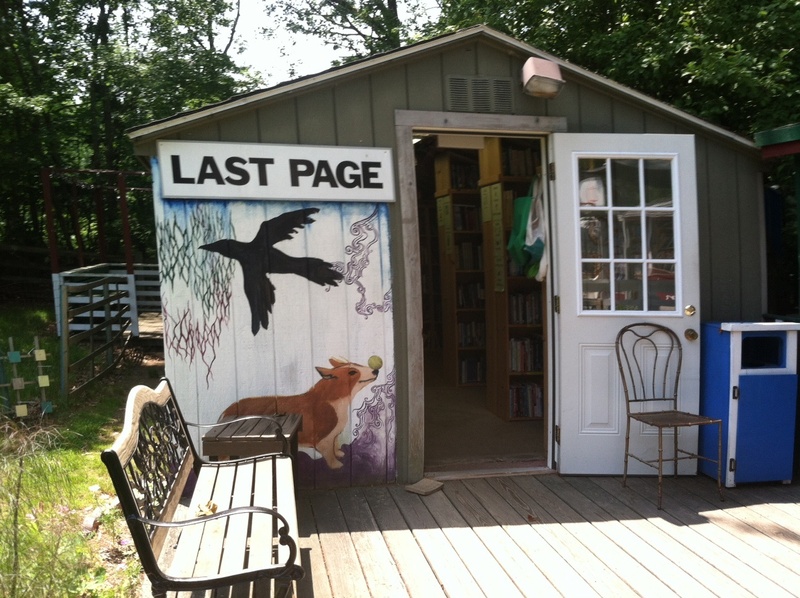 In 1988, Randi White and his wife Mo turned a new chapter in their lives when they co-founded The Book Barn, an always-evolving book business that is a collection of amusements. Literally. 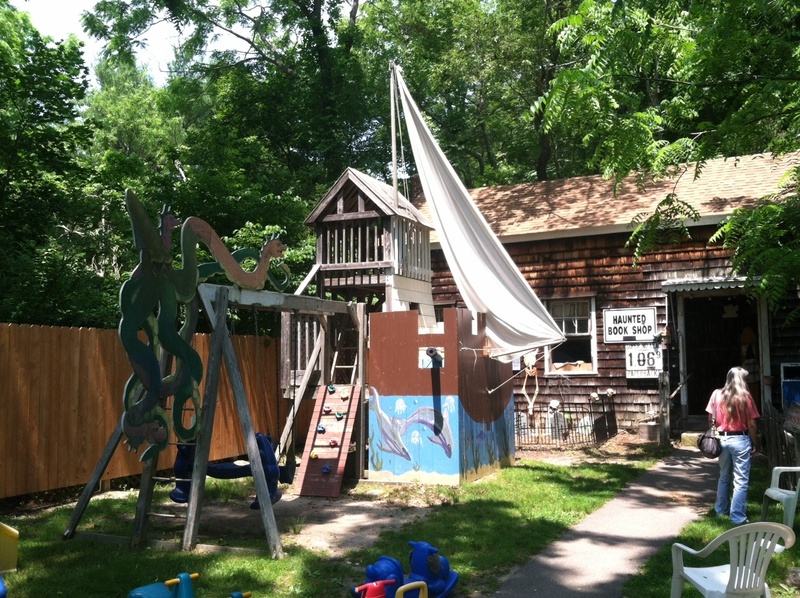 On the grounds adjacent to a three-story barn, which is called the Main Barn and contains nonfiction, teens and children’s, The Book Barn has a fun approach to stacking. Whimsical makeshift homes along the property shelve various paperbacks and hardcovers by category or subject. Named after the famous landmark, Ellis Island is a depository for new arrivals (the public can bring books for potential sale) to be sorted. Some section names are fitting, others fun. 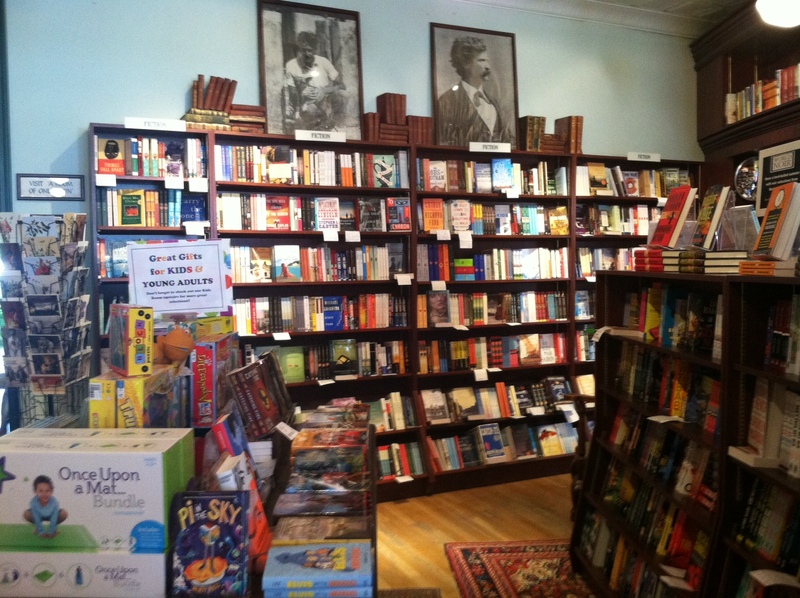 The Haunted Bookshop has mystery and suspense, while Hades holds romance and chick-lit. As for books, the inventory contains a wide range of rare finds and popular titles, dating back to the 1600s up to this week’s bestseller. 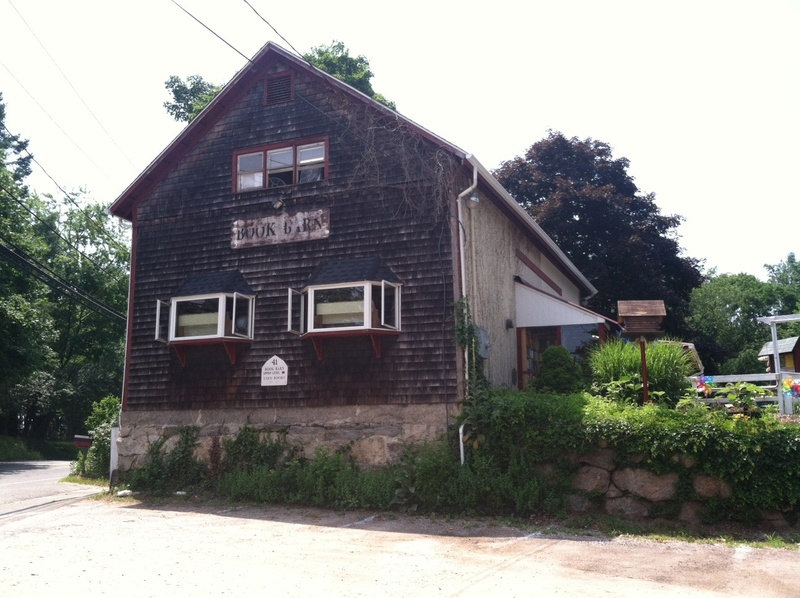 Along with its main location on West Main Street, there are two other venues in Niantic: Book Barn Downtown and Book Barn Midtown. This second stop is not too far from I-95. Though a Main Street fixture in Madison, RJ Julia Bookseller gets visitors from all across the United States and some even from overseas. They are authors who frequently come in for lectures and signings. 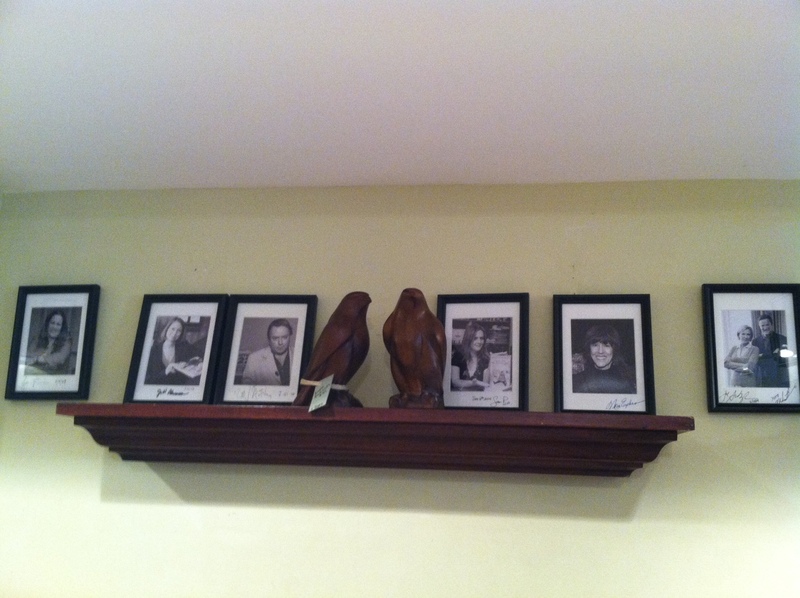 Wall photos show off many guests such as the late writer Nora Ephron and celebrity TV chef and local resident Jacques Pepin. Opening its doors in 1990, owner Roxanne J. Coady founded her store in an empty brick building with the notion of caring for and calling her customers as what they are: readers. With two levels and a separately run café and bistro, the store is graced wooden panel shelves and a neat green ceiling above the main cash registers. 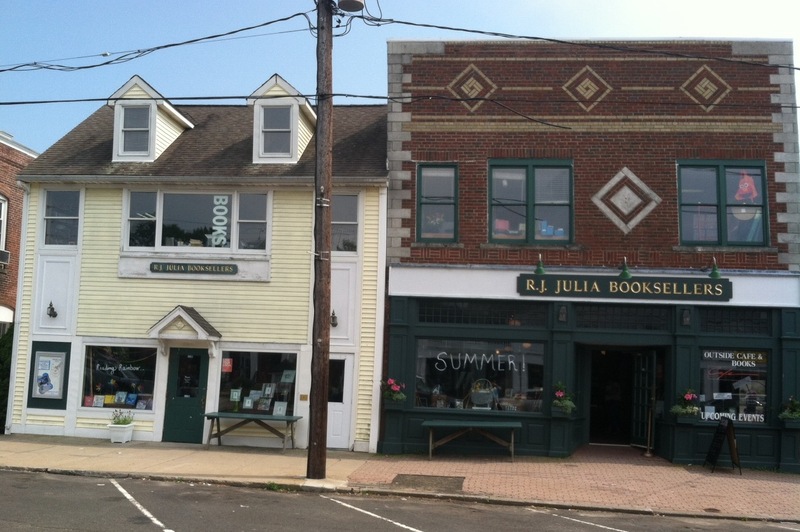 An attached yellow building extends RJ Julia’s holdings with a children’s section and has space for visiting authors that come in for appearances at least a few times every week. Recently the bookstore invented its own Espresso Book Machine to encourage aspiring authors to bind personal writings and mementos into freshly made paperbacks. I understand that Coady has been looking to retire and sell her store. However, as a staff member told me, she’s waiting for the right buyer to come that will stay in line with her shop’s mission. So, tell me. What’s your favorite “indie” bookstore? This entry was posted in Attractions, Connecticut, Madison, Niantic, Niche Stores, Solo Travel, United States and tagged independent bookstores, independent bookstores in Connecticut, places in Niantic Connecticut, stores in Madison Connecticut on July 6, 2013 by She Is Going Places.